In 2011, the European Commission has defined the Corporate Social Responsibility (CSR) as the responsibility of enterprises for their impact on society. It goes beyond following the legislative requirements: CSR is a voluntary concept, led by companies through the collaboration of all stakeholders. CSR is embedded in seven fundamental pillars: governance, human rights, relationships and working conditions, environmental, fair practices, consumer protection, and actions with the local communities. Every year, Rakuten holds the Rakuten IT School Championship as the culmination of the Rakuten IT School CSR initiative. This event gives high school students the chance to experience the world of online sales together with Rakuten employees over the course of a year. Lately, Rakuten and FC Barcelona launched “Goals Beyond the Game”, a unique campaign designed to raise awareness of Sustainable Development Goals (SDGs). Initiative that encouraged people to post and share their own SDG pledges. At Rakuten Aquafadas, we follow the same commitemment and we integrate CSR approach as much as possible in our daily work environment. At Rakuten Aquafadas, culture and diversity represent one of our most important strengths. Our teams are composed of 16 different nationalities and in our offices, we can hear nearly 14 languages coming from different parts of the world! We also put great importance when it comes to gender equality and always aim at increasing the number of women in our technical teams. Some time ago we launched the Women in Code initiative outlined in this article. We also try to make jobs in our sector easier to understand and more appealing by ‘decoding’ them in our regular blog about various job roles: designers, Blockchain engineers or VR specialists. Employee’s wellbeing is one of the key values of CSR and we make great efforts at Rakuten Aquafadas! That’s why we always think about new ideas to keep our colleagues encouraged and motivated. 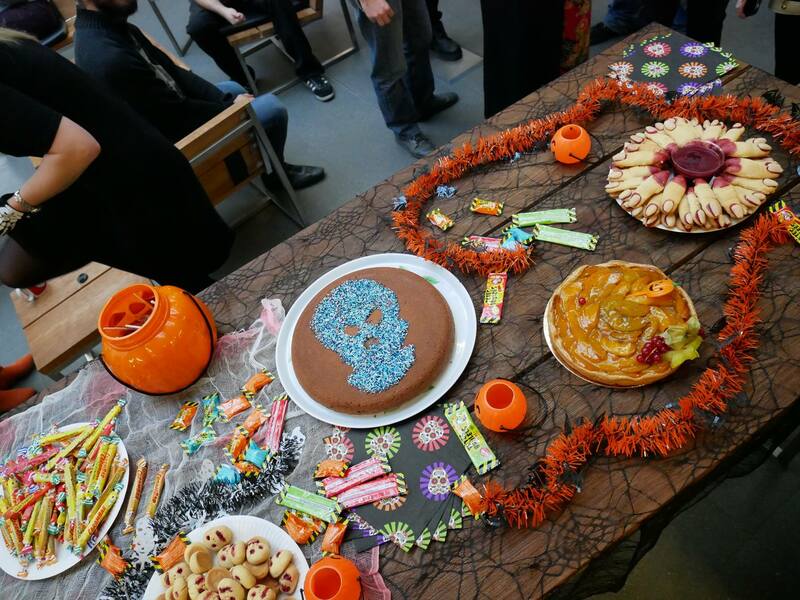 Flexible work schedules, stock options, sports activities and home-made cakes for birthdays and special events are all a key part of our daily lives and culture. We are also highly committed to inclusion of people with disabilities. Our offices are cleaned by ESAT Kennedy of Montpellier – a medico-social facility of protected work – reserved for people with disabilities and aiming at their social and professional insertion or reintegration. For our special events (annual team building, meetings with our business partners or our new office ribbon-cutting ceremony) we specifically picked catering services from organizations working with disadvantage members of the society (such as La Bulle Bleue, Les Ateliers Gourmands or La Table de Cana). The environmental pillar focuses on company’s ability to reduce its impact on the environment. Environmental strategies are essential to the sustainability of a business and can also significantly reduce costs. Since 2008, in the Rakuten Aquafadas offices, we are sorting our rubbish using clearly labelled bins separate for recyclable or non recycable waste. Starting in 2010, every March Rakuten Aquafadas colleagues are invited to take part along with the SurfRider Foundation in cleaning Lez – the river that crosses Montpellier. For this year’s World Clean Day, we are participating in the national program « Nettoyons la Nature » taking place in September. 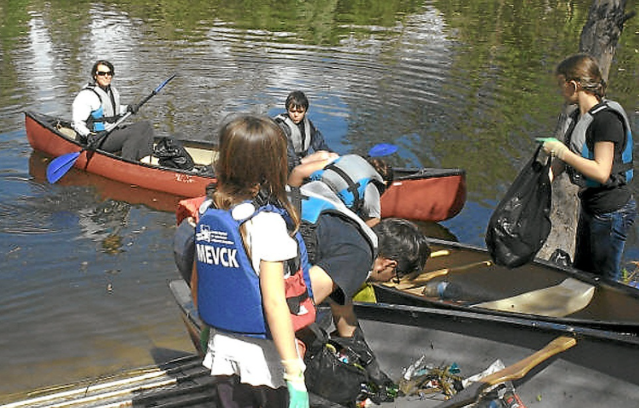 Rakuten Aquafadas employees pick up waste from the river banks and in the water alongside the local kayak clubs. Below, co-founder of Rakuten Aquafadas Claudia Zimmer with her son and ex CTO Thomas Ribreau during a local action reported in this article. 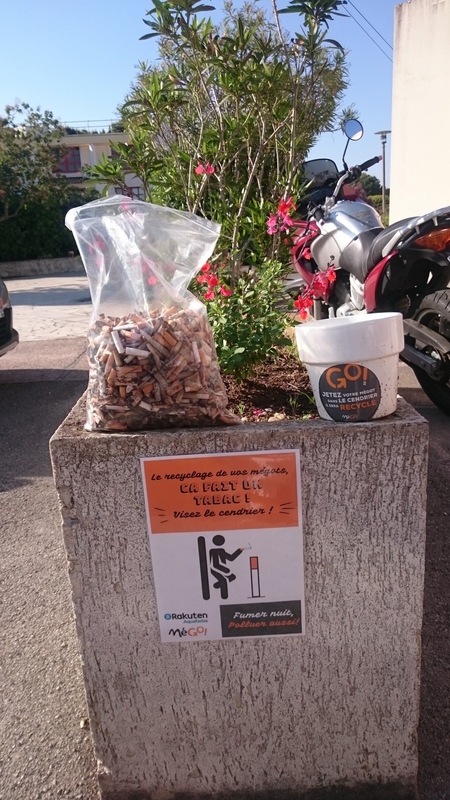 Since the beginning of April 2018, we are collecting cigarettes butts with MéGo! – a company that recycles butts to reuse them later to create plastic ashtrays. We even have a nice “recycling certificate” and a nice record of the recycling carried out, issued by the company itself MéGo! following a collection of more than 20,000 butts between January and October 2018 and a small article published in the Gazette de Montpellier and another published in Midi Libre! Finally, outside our new and shiny offices, we mix coffee grains with soil to grow our own delicious cherry tomatoes and strawberries! A (mini) organic farming, responsible and profitable for our employees! The community pillar focuses on the way enterprises interact with local organisations and volunteers. Building trust and developing strategic partnerships with local communities is essential to guarantee a long-term sustainability. It also helps when it comes to retaining happy and proud colleagues and attracting new talents. Last year, when clearing our storage full of old collateral and props, we decided to do it in a sustainable way! That’s why we engaged with an organisation Ressourcerie to help us recycle plastic banners into handbags. When moving offices, we not only offered our old ring binders to Face Hérault, another non-profit entity, that was collecting school supplies for underprivileged children in Morocco. But we also donated our unused office furnitures to a local charity Emmaüs. Finally, in December 2017, we ran a fun Reversed Advent Calendar game. As a countdown to Christmas from 1st to 22nd of December we collected donations (toys, books or useful objects). At the end, every gift was donated to make this Christams special for those in need via a local charity (Les restos du Coeur). 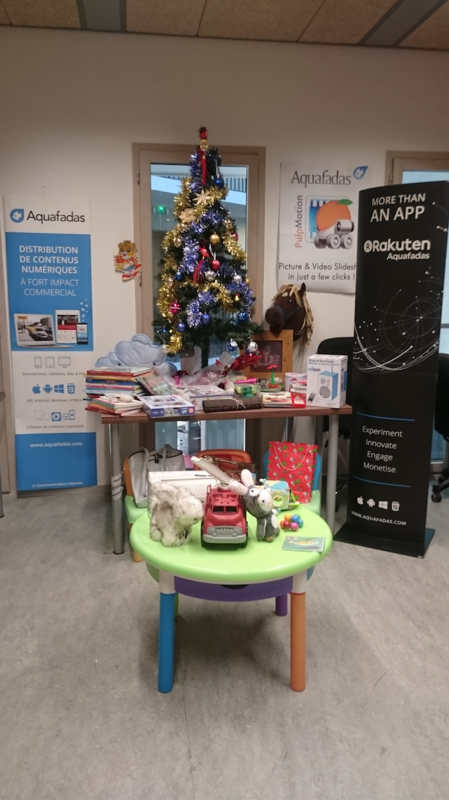 See a photo with all the pressies from the Rakuten Aquafadas colleagues. We’re proud of all our CSR initiatives but as many of other organisations, we aim at measuring our social impact in more depth. That’s why with help of the Montpellier Incubator, we ran an “auto-evaluation” to show all the efforts so far and to strengthen our future strategy. If you want to be a part of Rakuten Aquafadas’s adventure and help us develop our CSR approach, visit our Careers page! 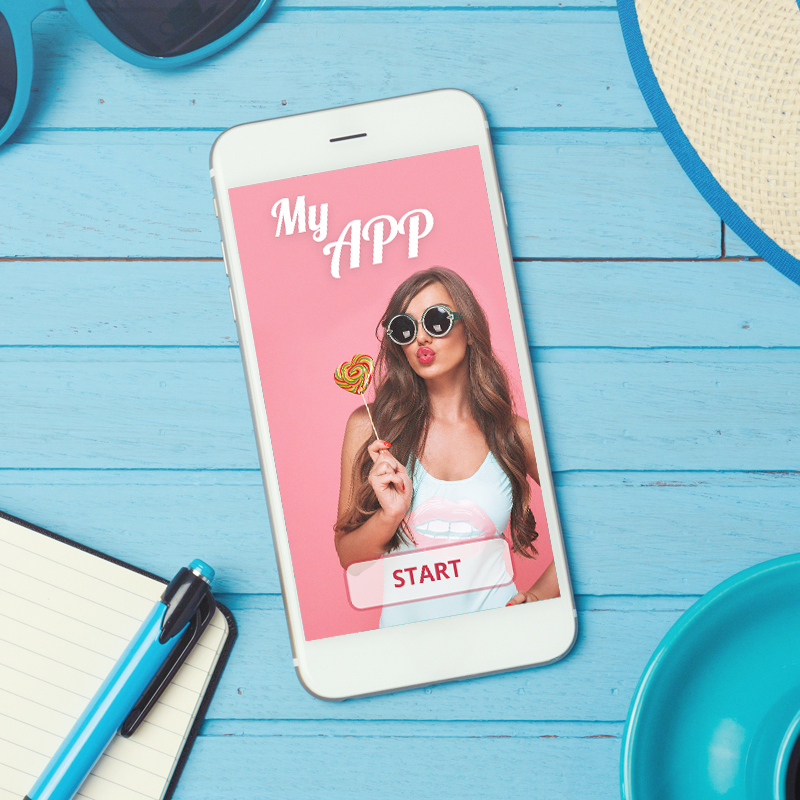 And to discover the power of our mobile applications, get a free demo today and most importantly, stay in touch! And, if you have more time, why don’t you read about apps charities from across the world created thanks to our technology: The Greenpeace Magazin and Touchable Earth.